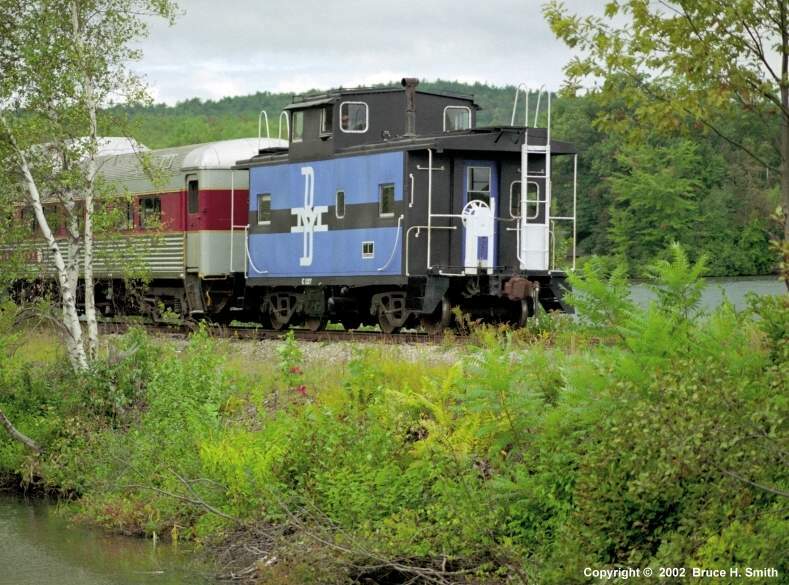 Former B&M Caboose C127 brings up the rear of the folliage train to Lincoln, NH behind a former B&M RDC-9. Photographed by Bruce H. Smith, September 27, 2002. Added to the photo archive by Bruce H. Smith, January 13, 2003.